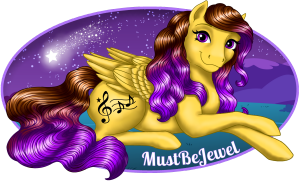 As many of you know, I took on a project this spring that originally started as pony meet give-aways, but eventually took on a life of its own. Each puffy sticker design I have available has been painstakingly re-drawn, vectored, and digitized for crisp, clean images that still hold all the style and charm of the 80's designs. My original artwork is, of course, original to my own making. Custom designs: $10+ and coming soon! Due to popular demand, full 8.5 x 11 sheets of stickers are coming again soon! I am now taking pre-orders for the second batch full sheets of 30 glossy vinyl removable 80's-style stickers! Sticker sheets will be $8 per page (plus shipping) and will feature the exact designs in the example shown below. Pre-order spots are open again for sticker sheets! I got one of these sheets from Jewel and it is great quality, I love it!! Courtesy notice: payments for sticker sheets are due in 24 hours! I'm not planning on getting any more printed at this time, so 9pm on Friday 11/17 is the cut-off for sticker sheet purchases at this time!